Today's world of heavily mediated experience–television, processed foods, automobile transport, &c.–lends itself to the cultivation of the two elements that most characterize the religion of the modern Occident: apatheism and allognosticism. It is these two qualities of the religious culture that signal the transitional phase from which post-Christian Western culture is now emerging. Apatheism is a neologism taken from the words “theism” and “apathy.” A theist is one who believes in the existence of God as a fundamental principle. Apathy is the condition of not caring. Demographers tell us that over 90% of Americans believe in God, but less than half of those are able to further characterize their relationship with that poorly-defined entity. The remaining quasi-majority are allognostics, whose “belief” is a matter of taking what they see as the intellectual course of least resistance. Apatheism and allognosticism are like two peas in a pod. Leaving aside the thorny enigmas of historical Gnosticism, a “gnostic” theological perspective might be described as one which maintains that direct human experience of the divine is both possible and necessary for spiritual redemption. The gnostic perspective can be considered as the polar opposite to the agnostic. While “agnosticism” is used colloquially to denote an ambivalence about the existence of the divine, it more technically refers to the conviction that direct human experience of the divine is impossible and/or irrelevant to human welfare. Jesus of the Christian gospels appears to have been a gnostic under these terms, and the Deist “founding fathers” of the US were agnostics. The bulk of American “Christianity” can be described as allognostic, from the Greek root allo, meaning “other.” Allognosticism consists of the belief that direct human experience of the divine is possible only for other people, such as the Pope, Old Testament Prophets, popular televangelists or dead relatives. It is sometimes codified in a doctrine of sacerdotalism: the requirement that a priest intercede on behalf of the worshipper in order to make religion efficacious. Allognosticism should invite derision from any thinking individual. In the contemporary development of American mass culture, allognosticism is implicit everywhere, to the point that it discredits most established religious forms. The doctrine of vicarious atonement underlying Christianity as a whole is especially appealing to the allognostic mentality. Along with the provincial historical precedent, this appeal to ubiquitous allognosticism helps explain why religion and Christianity are interchangable terms for most apatheistic Amercians. And the dominance of the allognostic element in Christianity signals both the usefulness of that religion to hypocritical demogogues, and its uselessness to sincere and free individuals. Christianity has had two basic reactions to apatheism, which it justifiably sees as a dilemma. One has been to coddle it by focusing on social concerns and no longer addressing metaphysical issues. The hope implicit in this approach is that greater participation in a socially-rooted church will eventually integrate the allognostic followers with the intentions of metaphysically-oriented leaders. The other reaction consists of fundamentalism, i.e. a dogmatic absolutism that appeals to the fear and uncertainty of modern life. In both cases, allognosticism is used as a functional basis for promoting “faith,” when it really constitutes its primary weakness. The modern agnostic approach can be seen in atheism and humanism, while the neo-pagan movement is the best current example of Western gnostic religion. But these options fail to draw on the strength of the Christian symbolic environment, an environment that remains powerful and close at hand, even though the faith that formed it is weak and obsolete. The religious philosophy of Thelema forms a genuine post-Christian alternative to these cases. Thelema rests on the symbolic foundation of Christianity in a manner analogous to the one in which Christianity rests on Judaism. Just as Christianity claims to operate within the context of the prior fulfillment of the Jewish Messianic agenda, Thelema works within the context of the prior fulfillment of the Christian Apocalyptic agenda. The succession in this case is more radical, though. While Thelema unrepentantly exploits the Christian symbolic environment, it treats the Christian Bible as literature of note, but not sacred scripture. 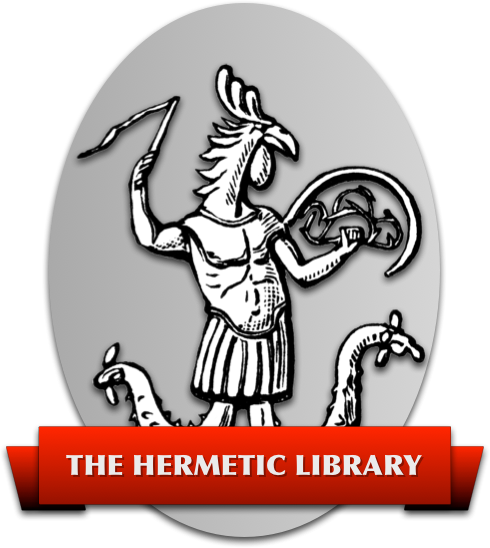 The formal identification of Aleister Crowley, the Prophet of Thelema, with the Great Beast of the Biblical Revelation does not require that Thelemites adopt the contents of that book as an authoritative explanation of the Prophet's character or mission. Christianity postulates Jesus the Christ as the sole personal God for all humans, creating an arbitrarily absolute frame of reference that deserves scorn. Both the “hard” science of physics and the “soft” disciplines of hermeneutics, anthropology, sociology, and psychology have progressively revealed the dependence of phenomena on the act of observation, and the contingent relationship of “facts” to their interpretive context. Thelema was founded in 1904 e.v., the year in which Einstein published his theory of Relativity, and Thelema's notion of the personal godhead is correspondingly relativized to the individual world of the devotee's experience. The augoeides is the personal Savior of the Thelemite, and the supreme Lord of his or her individual universe. Communion with the augoeides, known technically as “Knowledge and Conversation of the Holy Guardian Angel,” (this phrase is a deliberate caricature of the experience) is considered to be a prerequisite to spiritual emancipation; thus Thelema is strongly gnostic. But the augoeides is unique to the individual, and thus agnosticism is introduced with respect both to any higher order of divinity, and to social promotion of the redemptive agent. It would be inappropriate and ineffective to induce others to worship one's own augoeides. The resulting mixture of gnostic and agnostic elements preserves the virtues of both while avoiding pitfalls of each. American society is increasingly fragmented, and its individual members are becoming more disempowered with every social “reform” and technological “advance.” If we are to change course, and actually draw nearer to the distant goal of Truth and Justice for the entire human family, we will need new perspectives on our dilemmas, perspectives that the apatheistic and allognostic paradigms cannot provide. Philosophies and religions like Thelema, which firmly reject both apatheism and allognosticism, are a needed tonic for the fatigued spirit of contemporary humanity.